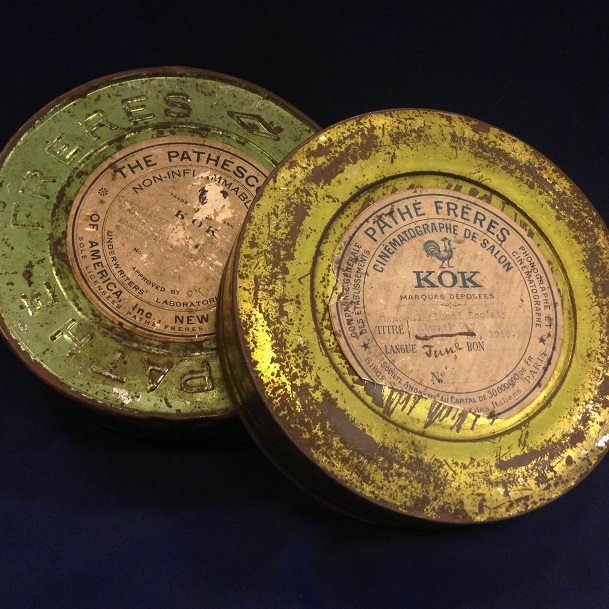 The 28mm film format, developed by French firm Pathé Frères in 1912, was the first non-flammable film format and the only viable alternative to nitrate in its time. 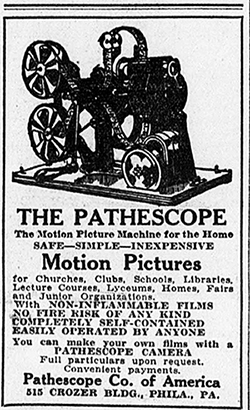 Distributed by the Pathescope firm in the United States, it was quickly adopted for its safety and ease of use in schools, churches, and community groups. 28mm film was widely used for several years until the rise of 16mm film and the development of 35mm safety formats rendered it virtually obsolete by the early 1930’s. * Films with an asterisk are in the process of being converted from 28mm format to DVD for future upload to this web exhibit. Nos. 1 & 2 Buildings & Senior Activities 556 ft.
No. 3 The Last Bowl Fight, 1916 230 ft.
No. 4 Launching of Shell & Crews* 200 ft.
No. 5 Interiors & Exteriors of Professional School Buildings 462 ft.
No. 6 Alumni University Day – Group of Alumni 150 ft.
No. 7 Pennsylvania-Cornell Football Game – Thanksgiving Day, 1915 246 ft.
No. 8 Alumni Day Parade* 446 ft.
No. 9 Review of Battalion, 1917 134 ft.
No. 10 Alumni Day, June 12, 1920* 203 ft.